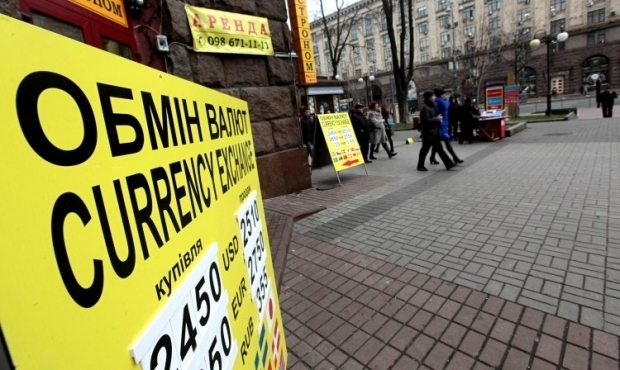 Hryvnia quotations against the dollar on the interbank currency market on Friday fell to UAH 23.15/23.30 to the dollar by the middle of trade, a broker at a commercial bank has told an UNIAN correspondent. Hryvnia quotes against the euro have settled at UAH 25.3830/25.5430, while those against the Russian ruble have settled at UAH 0.3290/0.3310. Read alsoNBU presents new UAH 500 billAccording to the National Bank of Ukraine, the weighted average exchange rate of the hryvnia as of 14:40 was UAH 23.1312 to the dollar, with 281 deals concluded by this time worth a total of $88.62 million.